Achieve the perfect tucked-in look without all the fuss with this 1.STATE tee. 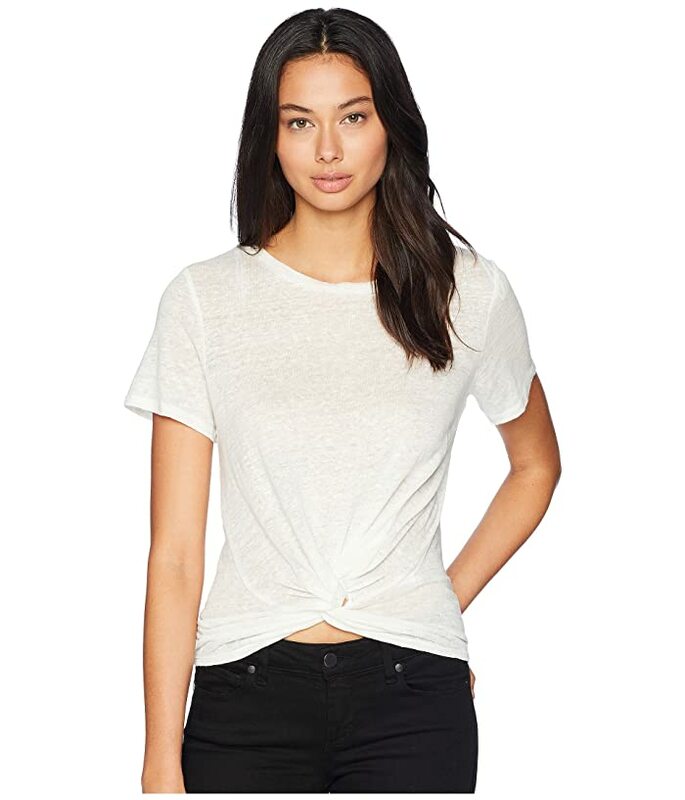 Linen tee boasts a relaxed silhouette. Twist detail at center hemline.